Named by shipton who thought it looked like ‘an island in a sea ice’ island peak, Or Imjaste, (6173m) is situated at the top of the Imja Khola valley in the Khubbu region, just above the summer Settlement of Chukhung. Although the climb is technically straightforward it is quite demanding and does Require the use of an ice axe and crampons. The most difficult section is a mixed rock and ice wall at aslope of around 45 degrees leading to the narrow summit ridge. The magnificent views from the summit, however, are Certainly a fitting reward for your efforts. Before climbing Island Peak, we trek up the Dudh Kosi valley from Lukla,passing through Namche and Thyangboche on our way to Kala Patter and Everest Base Camp. 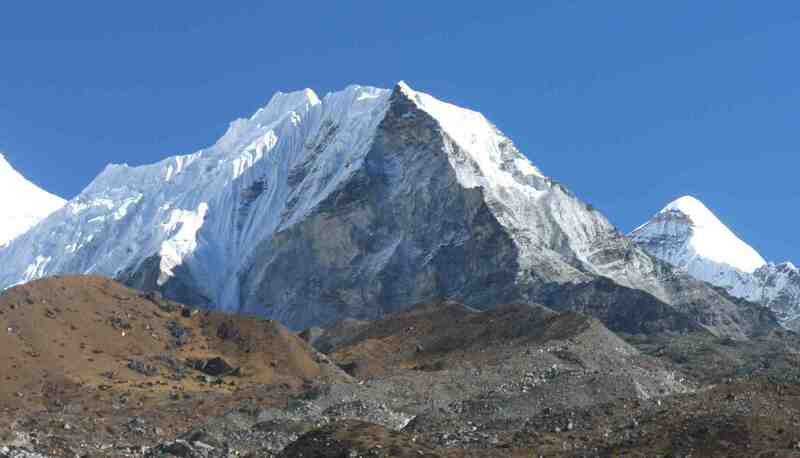 Fully fit and acclimatized, we then head up the beautiful Imja Khola valley towards Island Peak. Following our ascent of Island Peak, we retrace our route back through Namche to Lukla, and from there we fly back to Kathmandu.